Hierarchic Electrodynamics and Free Electron Lasers: Concepts, Calculations, and Practical Applications presents intriguing new fundamental concepts in the phenomenon of hierarchical electrodynamics as a new direction in physics. Concentrating on the key theory of hierarchic oscillations and waves, this book focuses on the numerous applications of nonlinear theory in different types of high-current Free Electron Lasers (FEL), including their primary function in the calculation methods used to analyze various multi-resonant, multi-frequency nonlinear FEL models. These subjects involve a wide range of disciplines. 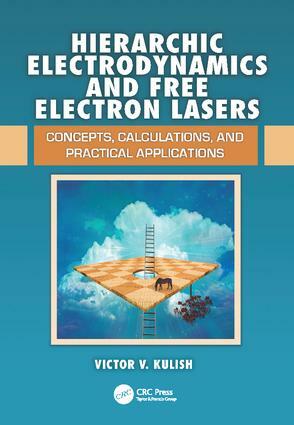 Using numerous real-world examples to illustrate information and concepts, the book offers a mathematical foundation to explore FEL applications as well as analyze hierarchic plasma-like electrodynamic systems and femto-second clusters of electromagnetic energy. Assembling fragmented concepts from existing literature, the author re-examines classic approaches in order to develop new insights and achieve scientific breakthroughs. Hierarchic Oscillations and Waves: The Foundation of the World?